"Little" Bill Nickolopoulos, current owner of the Athens restaurant in downtown, is closing the business Sept. 30. Nickolopoulos took over the Charlotte late-night landmark after his father-in-law "Big" Bill Mantis passed away in January. The establishment has been in the family for 26 years and in Charlotte for more than 50 years. 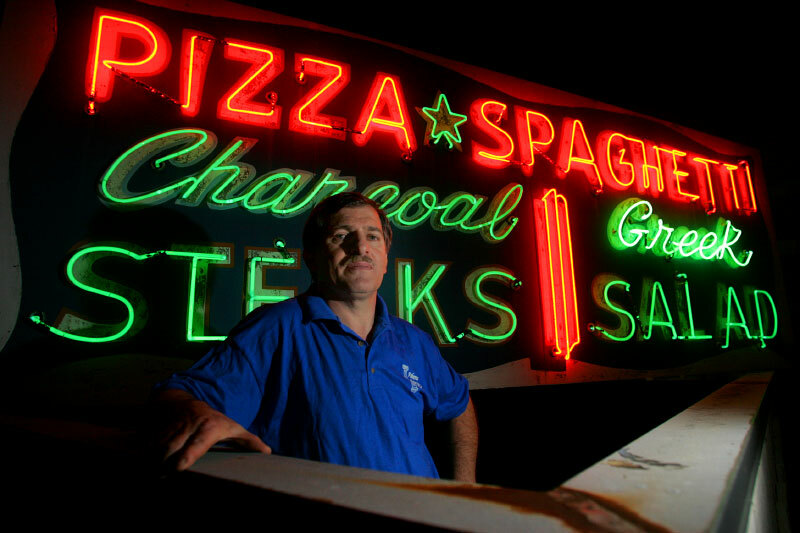 Nickolopoulos is pictured in front of one of the restaurant's roof-top neon signs.